The Town of Deerfield is an historic rural suburban center on the primary corridor between Northampton and Greenfield. The earliest community settled in Franklin County, the town is home to Historic Deerfield, an authentic 18th-century village that offers numerous activities, concerts, and events throughout the year, along with regular tours. 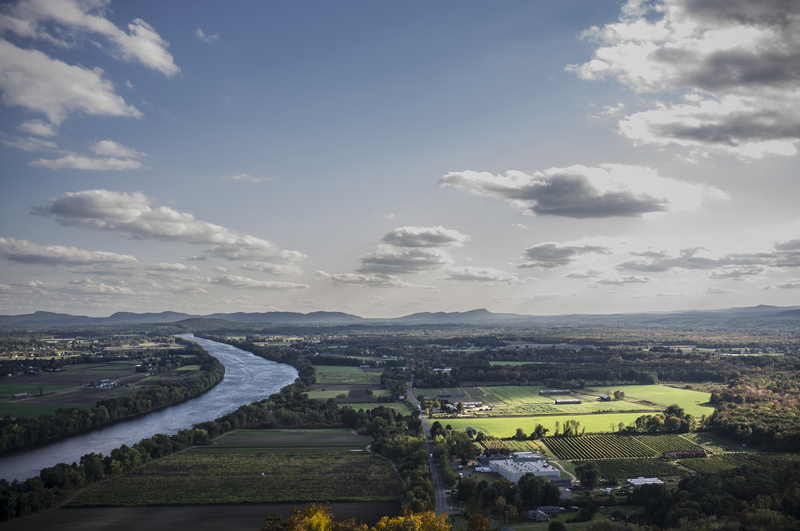 Atop Mount Sugarloaf, in the state reservation, visitors can enjoy a commanding view of the Connecticut River, the Pioneer Valley, and the Pelham and Berkshire Hills. Several private secondary schools are located here, including Deerfield Academy, The Bement School, and Eaglebrook. Each year the Old Deerfield Crafts Fair, considered to be one of the most important craft fairs in the Northeast, brings in more than 250 selected exhibitiors. The town retains its rural flavor and roots while remaining a thriving modern community with a mix of new and historic homes, small busineses, and fine dining. Scroll down to discover the latest real estate for sale in Deerfield, MA. Look through scenic homes, commercial spaces, and many other listings to find your new property. Found something you love? Save it when you create an account, and you can get email updates when new properties match your search criteria. Contact us for more information and to schedule a showing. Gracious updated Townhouse style Condo in "The Commons," with vaulted ceiling in the living area with fireplace, skylight and sliding glass doors out to private and sunny deck overlooking private area and trees-you'll enjoy relaxing at the end of your day and enjoy the sounds of nature. Freshly painted interior with neutral colors throughout. Kitchen with granite counters open to living room and family room. Open concept living with lots of light. Upstairs are 2 bedrooms and full bath. The master bedroom is quite spacious with double closets. Full basement ready for finishing. Garage is a plus! Affordable living in lovely complex in very desirable Deerfield. Convenient to I-91 to points north & south. Come and see. Ready to move in with granite counters and a $2000 credit for carpeting upstairs. Very roomy with large rooms and a delightful layout with so many potential layouts for just you! Yes, you CAN have it All on Baker Lane! Located on a quiet cul- de- sac w/ easy access to major routes and interstate, this cedar clapboard Colonial w/ attached garage, was thoughtfully designed right down to the Goshen stone entry way. With one home ownership you can expect the very best care & maintenance. Underground utilities, cable & internet throughout, Pella windows, hardwood, slate & tile floors, 2 ½ baths, double closets in bedrooms, are just a few features. Eat in kitchen has VT white marble counters and access to a 16'X26 cedar deck, is perfect for entertaining. The dining room, parlor and fireplaced den and 1/2 bath complete the first level. Upstairs find 4 generously sized bedrooms with 2 full baths. Outdoors delight in a variety of mature trees and flowering shrubs and a 12'X22 metal roofed utility shed. So why not grow your family here with above ground pool, jungle gym play area & tree fort. Home is where the 'heart' is and we're sure you will find yours here! Large building lot in Deerfield with some level pasture, the balance is wooded up a gentle slope. There's a woods road for access to the back. You could build on the hill, surrounded by woods, having a view of Mt Sugarloaf with some clearing. Excellent perc test. Bring your horses, livestock and building plans to check out the possibilities.